NEW: March 2019: Three papers are accepted in ISCA 2019. NEW: February 2019: Two papers are accepted in PLDI 2019. NEW: January 2019: InvisiSpec paper receives an Honorable Mention in the 2019 IEEE Micro's Top Picks from Computer Architecture Conferences. NEW: Two excellent Ph.D. students are graduating and looking for an academic job starting Fall 2019: Mengjia Yan, and Raghavendra Pothukuchi. Please check their resumes. NEW: December 2018: We published the Report on the NSF-sponsored Visioning Workshop on Inter-Disciplinary Research Challenges in Computer Systems. NEW: November 2018: One paper is accepted in ASPLOS 2019. NEW: November 2018: Two papers are accepted in HPCA 2019. NEW: August 2018: Received an Intel Strategic Research Alliance (ISRA) grant to work on InvisiSpec. 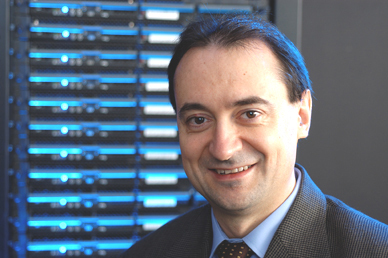 Josep Torrellas is the Saburo Muroga Professor of Computer Science at the University of Illinois at Urbana-Champaign (UIUC). He is the Director of the Center for Programmable Extreme Scale Computing, and past Director of the Illinois-Intel Parallelism Center (I2PC). He is a Fellow of IEEE (2004), ACM (2010), and AAAS (2016). He received the IEEE Computer Society 2015 Technical Achievement Award, for "Pioneering contributions to shared-memory multiprocessor architectures and thread-level speculation", and the 2017 UIUC Campus Award for Excellence in Graduate Student Mentoring. He is a member of the Computing Research Association (CRA) Board of Directors. He has served as the Chair of the IEEE Technical Committee on Computer Architecture (TCCA) (2005-2010) and as a Council Member of CRA’s Computing Community Consortium (CCC) (2011-2014). He was a Willett Faculty Scholar at UIUC (2002-2009). As of 2016, he has graduated 36 Ph.D. students, who are now leaders in academia and industry. He received a Ph.D. from Stanford University. The Bulk Multicore Architecture (Communications of the ACM, December 2009). [Presentation slides]. EE Times article that discusses the Bulk Multicore. Dr. Dobb's Journal discussion of the Bulk Multicore. Making Parallel Programming Easy: Research Contributions from Illinois, a book summarizing the accomplishments of the Illinois-Intel Parallelism Center (I2PC). This project is funded under the Illinois Intel Parallelism Center (I2PC). Thrifty: An Extreme-Scale Multiprocessor Architecture (IEEE Computer, November 2009). [Presentation slides]. Extreme-Scale Computer Architecture: Energy Efficiency from the Ground Up (DATE, March 2014). This work is part of an Intel-lead DARPA project that aims to design an Extreme-Scale computer. 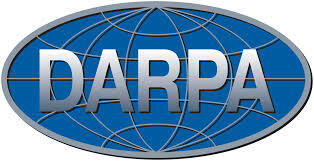 Intel blog on the DARPA project. This project is funded by DARPA under UHPC and DOE. "QuickRec: A Hardware Prototype for Recording and Deterministically Replaying Multithreaded Programs in the Intel Architecture". This prototype has been developed in collaboration with Intel, and is described in the QuickRec ISCA-2013 paper. "Runnemede: An Chip Multiprocessor for Extreme-Scale Computing". This manycore chip has been designed in collaboration with Intel, and is described in the Runnemede HPCA-2013 paper. Designing Vertical Processors in Monolithic 3D, ISCA 2019. [Presentation slides]. SecDir: Secure Directories to Defeat Directory Side Channel Attacks, ISCA 2019. [Presentation slides]. MicroScope: Enabling Microarchitectural Replay Attacks, ISCA 2019. [Presentation slides]. AutoPersist: Extending Java to Create an Accessible NVM Framework Based on Reachability, PLDI 2019. [Presentation slides]. Replica: A Wireless Manycore for Communication-Intensive and Approximate Data, ASPLOS 2019. [Presentation slides]. PageSeer: Using Page Walks to Trigger Page Swaps in Hybrid Memory Systems, HPCA 2019. [Presentation slides]. Inter-Disciplinary Research Challenges in Computer Systems for the 2020s, NSF-sponsored Visioning Workshop Report. InvisiSpec: Making Speculative Execution Invisible in the Cache Hierarchy, MICRO 2018. [Presentation slides]. VARIUS and VARIUS-NTV: A model of within-die process variation and resulting timing errors in manycores for microarchitects. SESC: A cycle accurate architectural simulator that models a very wide set of architectures: superscalars, multiprocessors, processors in memory, and thread-level speculation. 4231 Thomas M. Siebel Center for Computer Science. Phone (217) 244-4148, fax 217-265-6582. Thomas M. Siebel Center for Computer Science. Phone (217) 333-2234, fax 217-244-1089. Our research is funded by NSF, DARPA, and DOE.